I was out running on the trail around Lake Fayetteville the other day and I saw someone who I have known for a long time. He is an avid runner and has run a number of races including marathons. I stopped and asked how he was doing. He said, “Not bad for 4 weeks after heart surgery.” He was on his third invasive heart procedure. (2 stents and an open heart surgery) And he had been treated for heart problems by the same doctor for the last 11 years. Have you ever heard the definition of insanity? He had been seeing the same doctor for 11 years and he had to go back for more treatment and was still having problems. I told my friend to come in to the office and see me. I get very good results with heart problems. He was obviously skeptical. You may be skeptical too. And you are right to be skeptical. Heart disease is the #1 killer of people in America. With 50 percent of heart attack victims, there were no warning signs -- the first symptom is death! And 1 million Americans die each year from hardening of arteries. When you read these statistics, keep in mind that the medical profession has had decades to improve the treatments that they offer to help people get a better result with this devastating killer. And yet, heart disease is still a number one killer. Natural treatments that are proven to be effective, without any side effects, are ignored by the medical and pharmaceutical industry. Most people are having the wool pulled over their eyes when it comes to popular heart treatments. They're being deceived by overpriced treatments that don't work, are unnecessary or can be dangerous and even deadly. 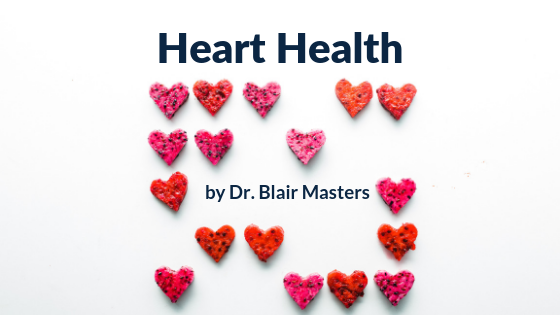 There are scores of new natural approaches for heart disease and heart problems that are being suppressed by the pharmaceutical industry because they're so effective and so affordable. Now I am not recommending that you stop seeing your cardiologist but there are so many things that are offered in our office that really help the heart. Chiropractic adjustments to get the nerves right to your heart. These are all therapies that we have gotten great results with in the past. Come into the office or give us a call at 479-443-0800. We can talk about the steps you can take NOW to dramatically reduce your risk of heart disease—even if you have a family history of heart problems. When you call tell them that you want to talk about heart disease and they will be sure to set aside extra time.